Unfortunately,…cuts, scrapes, bruises, and bumps are all a big part of summer. 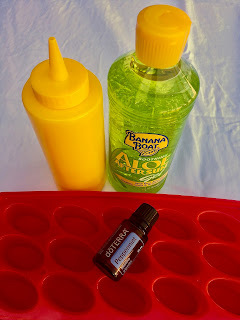 These two ice packs are easy to make from things you have in your home! Frozen dish soap makes for a good ice pack that is moveable when you take it out of the freezer! 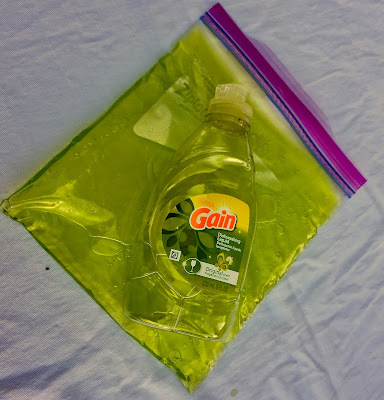 Just put dish soap in a freezer zip lock baggie and you are done! Rubbing alcohol also keeps water from freezing solid. 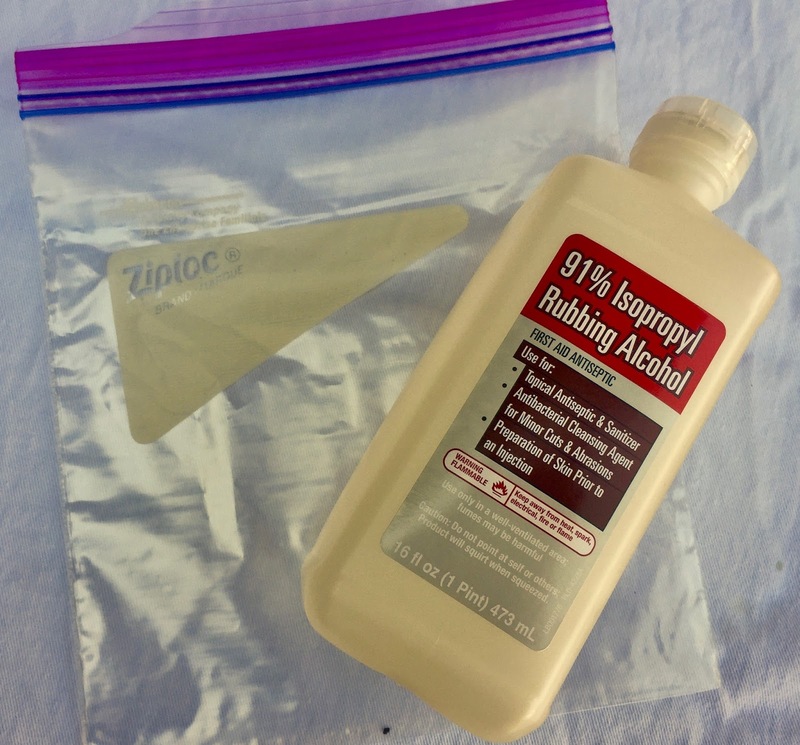 Just add 1/2 cup of rubbing alcohol to 1 1/2 cups of water in a freezer zip lock baggie! heal wounds? It can! 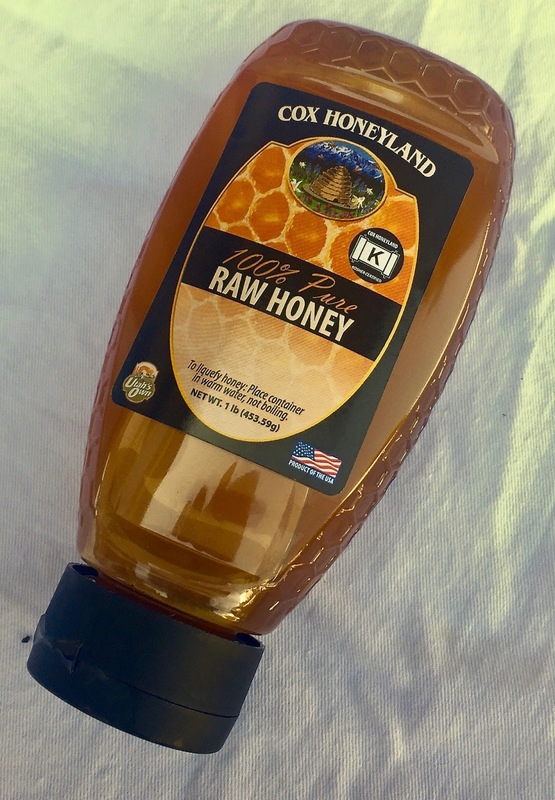 A thin layer of honey aids the healing process by drawing the fluid out of the wound. The acidity of the honey makes the wound less likely to get an infection. Unfortunately, treating sunburns are a big part of summer! These frozen aloe vera cubes will feel good and help you heal. Peppermint… the original pin suggests that you use lavender to help soothe the skin. I didn’t have any, so I used peppermint. Peppermint is a natural pain killer. It helps soothe burnt areas by providing a cooling sensation. And it is addictive to put on those bad sunburns! Squeeze bottle…makes the mixing SO easy! 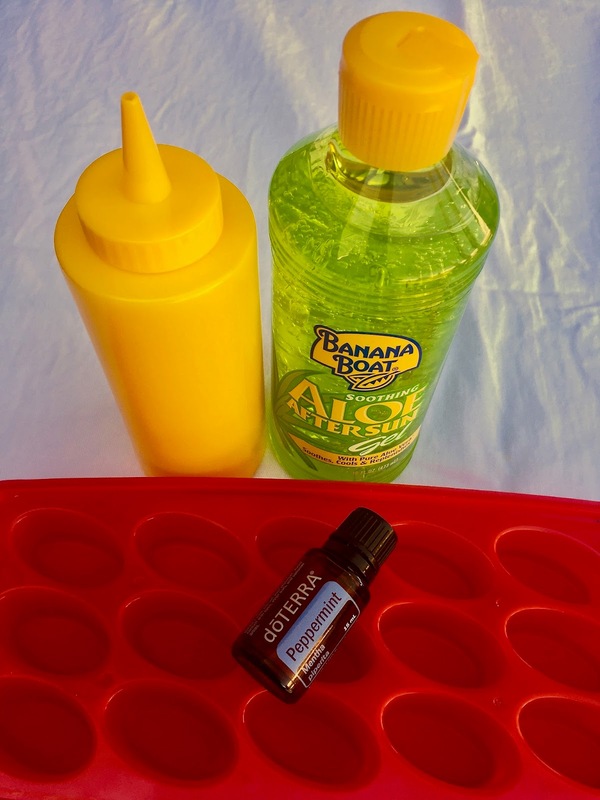 Put the aloe vera and 20 drops or so of peppermint in the squeeze bottle. 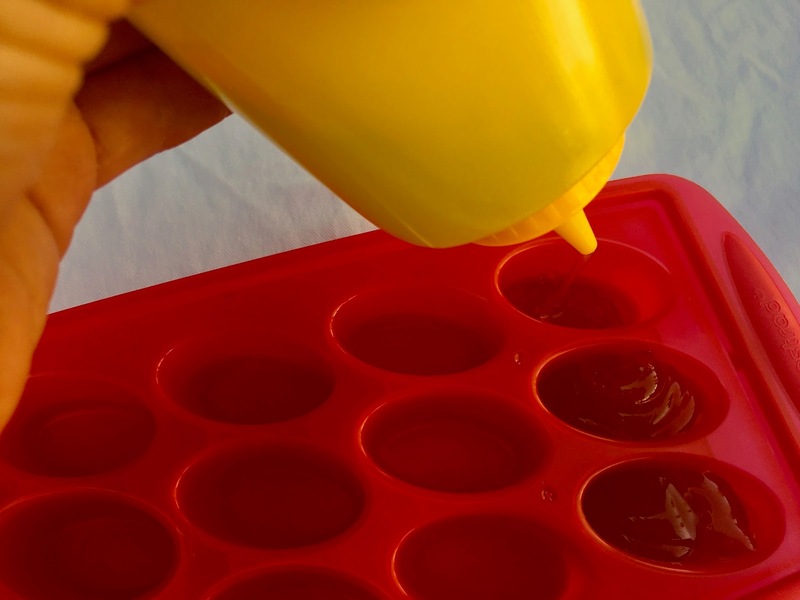 Shake it up to mix and put it in the ice cube tray. Freeze these bad boys, and you will be so glad later!!! Love the ice-cube trays. The ice it makes comes out perfect every time with minimal issue. The cubes don't melt extremely quickly in room-temp / standard faucet water. They hang around for the day; this can sometimes because you to have frost appear between the lid and cubes. Definitely not a deal-breaker and a very minor annoyance at best amazon.com.